A French avant-garde painter, born in Le Havre in 1901, Dubuffet took over his father's wine business in 1925, and withdrew from the art world. He stayed in the wine business until 1942, when he returned to painting, having developed a distinctive style of simple, primitive images in a heavily encrusted canvas. This style helped Dubuffet gain a worldwide reputation. Fascinated by the art of children and the insane, for which he coined the term, “art brut” ("raw art"), he emulated its crude, violent energy in his own work. 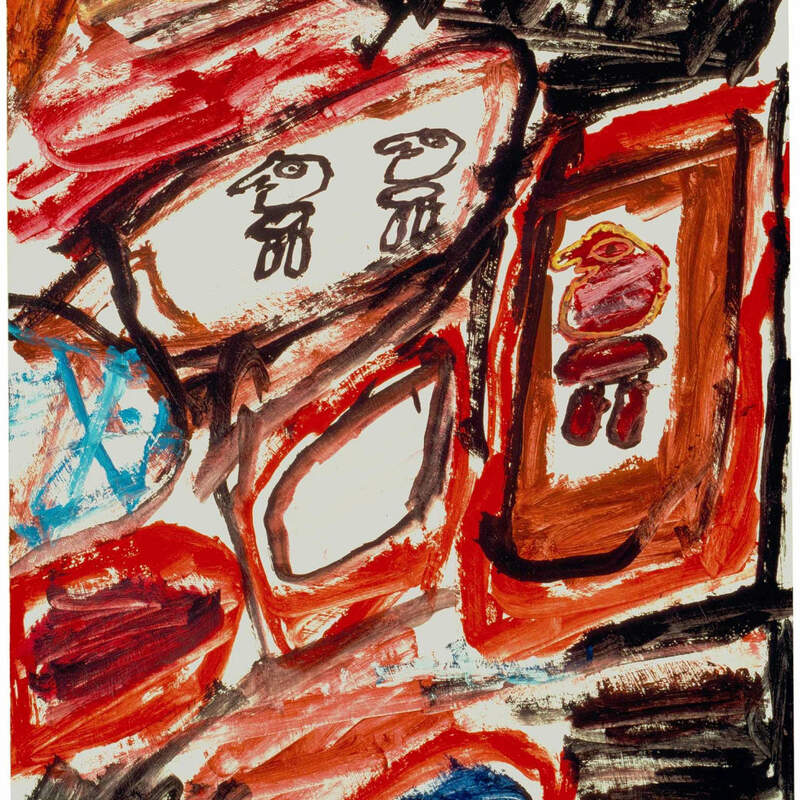 Critics soon applied the term to Dubuffet's paintings, rather than to their stylistic source as he had intended. Many of Dubuffet's works are assemblages combining found objects and other elements into a three-dimensional integrated whole, such as Door with Couch-Grass (1957), which is composed chiefly of fragments of paintings, grass, and pebbles. During the early 1960s, Dubuffet produced a series of paintings that resemble jigsaw puzzles, such as Nunc Stans (1965), in which tiny, obscure, closely spaced figures and faces dominate. His later work consists of large painted polyester resin sculptures. In all of his work the violence is tempered with elements of vitality and broad humor.